Burglary, like many other crimes, is categorized by "degrees." According to Washington law, burglary is defined as entering into a home or business with the intent to commit a crime. The severity of the crime will dictate the nature of the charge, but it doesn't matter whether it's carried out or not. If someone enters a structure, or stays longer than invited, and they intend to commit a criminal act, they can be charged with burglary. Understanding burglary laws in Washington State is often challenging, but our Federal Way burglary attorneys can offer you reliable legal information about the nature of your criminal charge. First Degree Burglary is the most serious burglary charge, and should never be underestimated. If person commits a burglary with a deadly weapon or commits assault against another person, it is a Class A felony. This is a serious crime with devastating consequences, if convicted. Second Degree Burglary is entering a building other than a residence to commit any crime, and it is a Class B felony with penalties that can be life-altering. Residential Burglary is also a Class B felony. This is charged to persons that commit a burglary on a private residence, like a home or apartment. No matter which Federal Way burglary charge you're facing, a conviction could have a detrimental impact on your entire life and should be avoided at all costs. If you've been arrested for burglary in Washington, talk to one of the Federal Way burglary lawyers at the Law Office of Jason S. Newcombe and find out how we can help you defend your legal rights. Our professional Federal Way lawyers will aggressively seek the dismissal of your charges by conducting a thorough investigation of the facts. If this proves impossible, your lawyer will then seek a reduction of the punishments associated with the burglary crime. The prosecutor in any Washington burglary case must prove that the defendant entered the Federal Way building or property in question with the intent to commit a crime. This burden of proof can be challenging, so our Federal Way burglary lawyers will carefully examine the evidence to determine whether any inaccuracies or overlooked details exist. Our Federal Way burglary attorneys will want to know whether the evidence was obtained lawfully. If not, we may have an effective line of defense. We are not here to judge your actions. 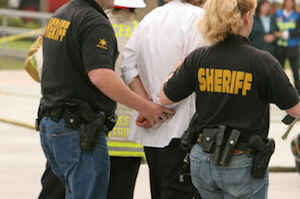 Our job is to defend your legal rights and offer you reliable counsel based on Washington State criminal law. Our Federal Way attorneys offer customized payment plans, so you can afford a professional attorney as a way to protect your personal future and freedom.